How do notifications work? – Hey. Ask us anything! There are 4 different places where you can receive notifications from monday.com: the Inbox, the bell icon, your email address, and via SMS messages. Continue reading to understand better how it works. The Inbox is where you will see all updates from board you are subscribed to, even if you are not specifically mentioned in that update or assigned to each pulse. You can think of this as a news feed, where you can see everything your team has posted on those specific boards. You can use the “filter by board” feature on the right of your account to only show updates from certain boards at a time. You can also click on “Close all” to close all updates on each board at a time. If you do not wish to see updates for a particular board, you can unsubscribe from the board. You will also receive Bell notifications for any automations you have activated on your board (keep reading below to learn more). 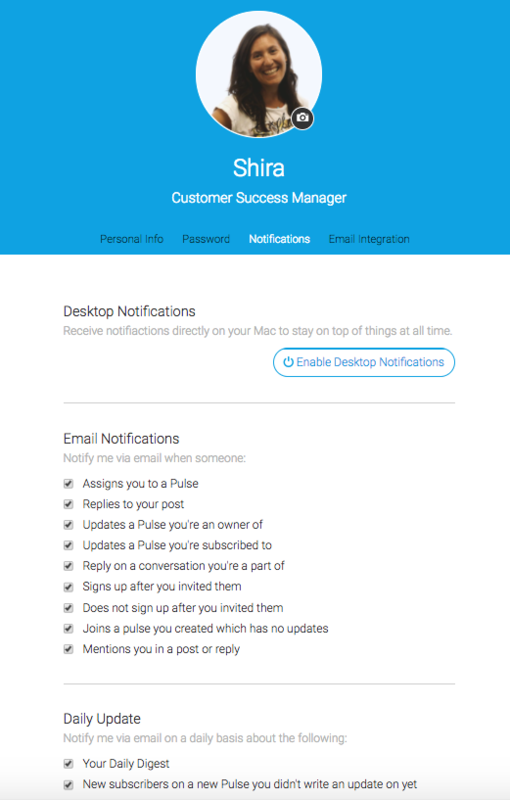 In addition to these scenarios, you will also receive email notifications for your board automations (see below). You may also choose whether or not you would like to receive the daily digest email and daily emails about new subscribers on a pulse you didn't write an update on yet. How can I change my e-mail notifications? 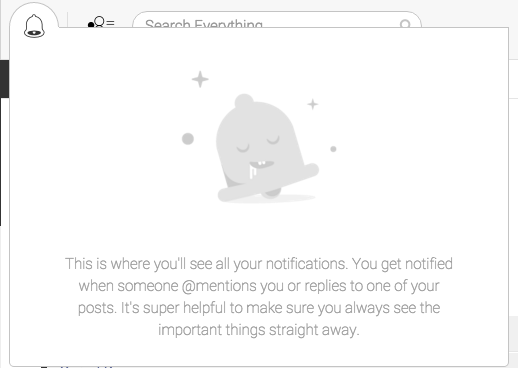 If you want to receive less and less emails, and stick to one place for your notifications (or maybe the exact opposite, have all your monday.com notifications be sent to your email), you can easily set this up and manage in the "my profile" section of your avatar! Using monday.com automations, you can now expand and customize the bell and email notifications you and your teammates receive! Simply set the trigger (the action that must occur) and select who you wish to notify. Note: These notifications will be sent to the bell icon, as well as an email notification to the specific recipient. You can learn more about how to automations work and how to add them to your boards here. Your Account SID and Auth token. Learn more about setting up your Twilio account and automations here. Want to see real boards where other users showing their ways of communicating with their teams?